One email comment I received over the weekend was to the effect that I would have noticed in Australia that the main roads avoided the town centres. That got me thinking, and yes it was true. In most of the small towns that we encountered (and apart from Sydney, we were in nowhere very big), the main highway skirted the town – although there were exceptions. In the former cases, they went along the edge or through an outer part of the built-up area. Waimakariri District Council staff have strongly recommended to the Council that the modified short eastern bypass option be adopted for State Highway 1 around Woodend, rather than four-laning the Main North Road through the middle of the town. It will be considered by the Council on Tuesday 2 September. The full report can be found by going to the Council website: http://www.waimakariri.govt.nz . Click on Agenda and Minutes in the menu on the left, then Council, then Agendas and then the PDF file for Tuesday 2 September 2008. The report starts on the 8th page of the agenda. Whatever is adopted will be in the form of a recommendation to the New Zealand Transport Agency (formerly Transit NZ) and it is the Board of that organisation which will make the final decision. We have just spent a couple of weeks visiting family in Australia, including driving from southern Queensland to Sydney, through small (and not-so-small) inland towns like Warwick, Stanthorpe, Glen Innes, Armidale and Tamworth. Because I am involved in the working party looking at revitalising the appearance of Rangiora’s town centre, I took particular note of what was going on in the centres of these towns. They all seem to value the older buildings, including some iconic old pubs, banks and post offices, and tried to get a balance between making them pedestrian-friendly while at the same time allowing cars to get shoppers to the shops. They obviously recognised that town centres need to be places where people can operate successful businesses, and for that they need customers. Australian rural towns often have more space to play around with than Kaiapoi or Rangiora, because, the story goes, their main streets were built to allow a bullock team to do a U-turn! However, the way the towns used that space varied – sometimes it was parking, sometimes central reserves, sometimes a mixture. Quarter-Million-Dollar Donation to Dudley Pool – Plus the Water Babes! An anonymous donor has given $250,000 “in kind” to the new Dudley Park Pool. He operates the kind of business that will be able to provide goods or services to that value for the construction of the pool complex. This is a tremendous gesture of faith in the project and obviously a very generous example of support for the Waimakariri community. And of course, the last week has seen the launch of the “Water Babes” calendar – be in and get yours fast! The stars and the scenery are all local! Next time you are in the Chamber Gallery in Rangiora’s Trevor Inch Library, look up. You will see the domed glass ceiling that used to be above the Rangiora Borough Council as it made its decisions. The Council moved out in the 1960s to make more space for the town’s growing library. The gallery was created when the new library was built in the 1990s and is administered by the Waimakariri Community Arts Council. There is a continuing rotation of exhibitions there and sometimes the space is used for small concerts. Trevor Inch was Waimakariri District’s first mayor (1989-1995), having previously been Chairman of Rangiora County and Mayor of Rangiora District prior to the 1989 reorganisation of local government throughout New Zealand. As Pegasus gets under way, we are seeing the arrival of large-scale development to an extent not experienced in Canterbury before. Amongst the pages listed to the right of this site, you will see reference to Breakfast Point, Sydney. To enlarge the photos on the page, just double click. Breakfast Point is a development in Sydney overlooking the upper harbour (technically, the Parramatta River). It is a mixture of individual houses (not many), and low- and medium-rise apartment blocks on the site of a former gasworks. Prices seem to range from $A550,000 upwards – the indvidual houses are well over $A1m. Remember, however, that real estate in Sydney is very expensive. The developers have put in a community centre (which looks like an American church), a club (with lounges, gyms, etc), a cricket field, a day-care centre for small children, a shopping centre and small supermarket. It’s not a town, more a small suburb, but there is an obvious attempt to create an environment. Commuting to central Sydney is about 30 minutes by fast river ferry. There are plenty of walkways and open spaces, and the streets are narrow and quiet. Nobody has very much land of their own. Would I like to live there? Maybe now I would, but I wouldn’t like to bring up a family there. Their promotional website is at http://www.breakfastpoint.com/ . We are not reducing the amount going to landfill. Christchurch is changing to a new system and that tends to make Waimakariri people question the way we are doing it. What do they think they can afford? 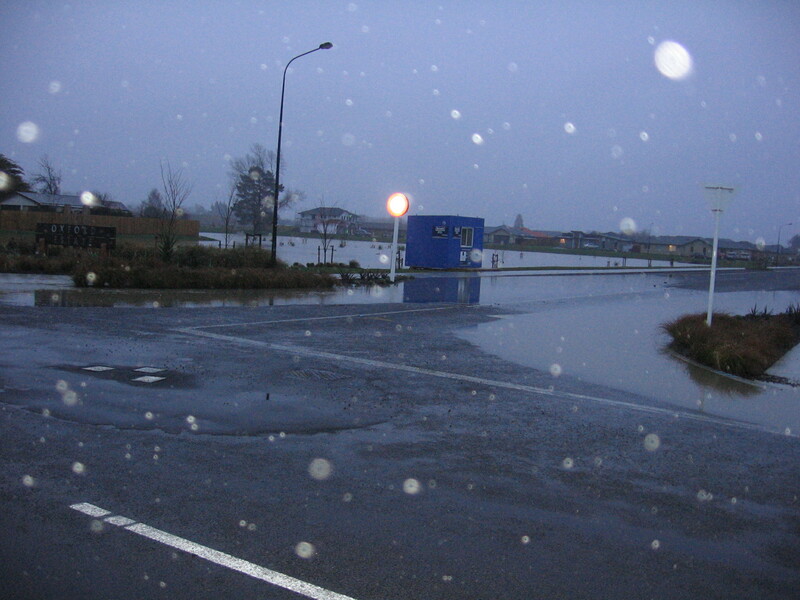 Rates in Rangiora and Oxford will be going up quite a lot because of the new water schemes. Soon we are going to be asked for our views on getting rid of our household rubbish – you might have heard that Christchurch is moving to a new system so that they send less to Kate Valley than they are doing. We in the Waimakariri towns are going to be asked for our views too. To the right you can see a page on current practices the various Districts in Canterbury. This page is taken from the above website. In the comments below you can find an offering from Marilyn Brackney, an art teacher who is working to encourage children’s creative use of waste. She runs a commercial website (there is a link there), which you might like to have a look at. In these days of the Resource Management Act, it can be difficult for communities to protect historic buildings, native vegetation and notable trees. A lot depends on how councils have written their district plans. While it is common for a resource consent to be needed, for instance, to remove listed buildings, trees and vegetation, that will often be no more than a delaying mechanism. In Waimakariri, there is a fund to encourage owners to keep, preserve and protect what they own. Currently, the opportunity to apply for this funding only occurs every three years, and that time has come up. There won’t be enough to go around – in my view, there should be more funding and I will be arguing for it to go into the new Long Term Council Communty Plan over the next 10 months or so. Above is an example of a previous recipient, the external renovation of which has attracted much favourable comment – although, of course, the Council funding by no means met the full cost of this major renovation. Extension to the Kaiapoi & Rangiora Clean Air Zones? Transit New Zealand (they’ve just become part of something else with a new name) have floated some ideas about these two intersections. Their suggestions haven’t found much favour. The Pineacres intersection of Williams Street and Main North Road is an accident black spot. The problem is not with the merging maneuvre of Williams Street traffic as it turns north, rather it is Williams Street vehicles being hit by south-bound vehicles. Whether it is because people haven’t looked or whether they’ve underestimated the speed of on-coming traffic, I don’t know. The Smith Street / Lineside Road interchange only allows vehicles to turn to the south. Transit proposed that at Pineacres cars could only turn left out and left into Williams Street. To get on to the Main North Road, they would have to go to the above-mentioned interchange. To cope with the new access and the increased traffic, it is suggested that there be traffic lights on the overbridge. It is fair to say that Transit are only floating ideas. For a start, what can happen at Pineacres will be influenced by whatever decision is made on the State Highway 1 route in the Woodend area. It is a long way to go for people living in the Pineacres-Moorcroft area to get on to the Main North Road. For regular users, this amounts to a considerable cost. The area to the north of Kaiapoi is where most of Kaiapoi’s future growth is likely to occur. The traffic lights on the overbridge may cause queueing in Lineside Road (where there is a bend) and Smith Street. There will be two close intersections on Lineside Road – the off-ramp and Revells Road. Council staff have suggested another design for Pineacres that allows for freedom of movement. I guess Transit will be having a look at that. Below are the proposed urban limits to Kaiapoi as agreed to by the Waimakariri District Council. These proposed limits will be forwarded to Environment Canterbury for inclusion on the Proposed Regional Policy Statement Change No 1. This is still subject to submission and decision, probably early in 2009. 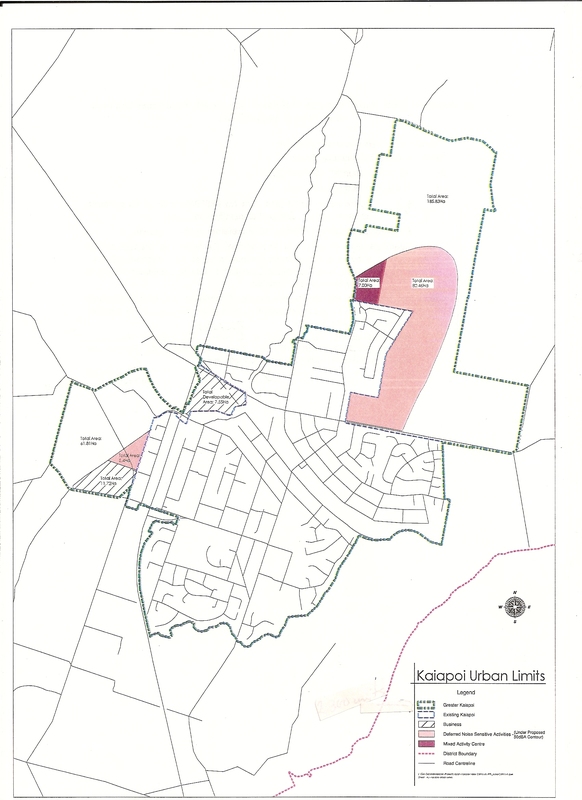 Proposed Kaiapoi Urban Limits as agreed to by Kaiapoi Community Board and Waimakariri District Council 4-5 August 2008. The National Party says they are going to borrow to build infrastructure if they are elected this year. Sounds a bit like Premier Julius Vogel’s 19th century government that borrowed to build railways to help open up the country to settlers. How about this list for our neck of the woods? A decent road access to Christchurch from the Northern Motorway – take it to the east of Belfast. Double-track the Christchurch-Rangiora railway so that we can have a decent commuter service – and put a railway station back into Kaiapoi. Run tram-lines from that railway to the centre of Christchurch so that we can run light rail from central Christchurch to Kaiapoi and Rangiora. Return Route 72 to State Highway status and develop it as a decent tourist route. Build a safe intersection at Pineacres. Triple-lane the Northern Motorway (the Waimakariri bridges are designed for it). 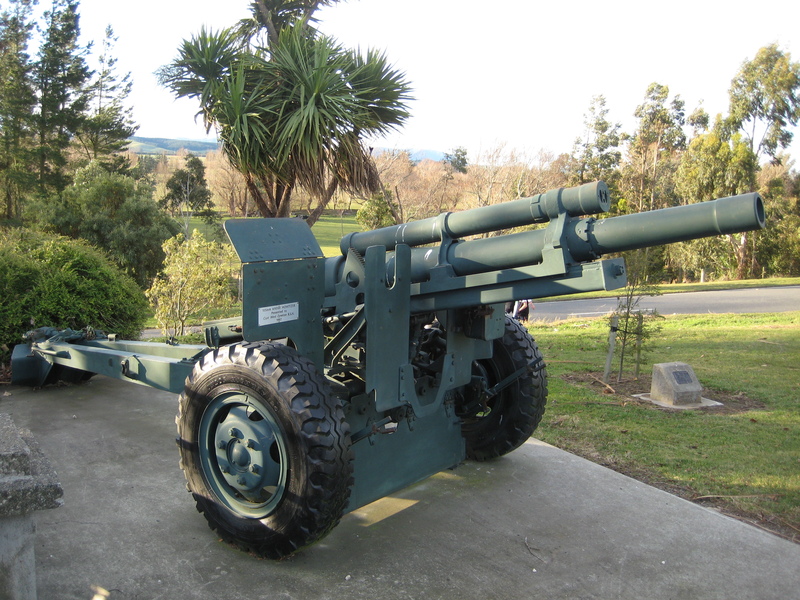 The howitzer that is part of the Cust War Memorial was put in place in the late 1990s and is of the type used by the Royal New Zealand Artillery in Vietnam. Local Rangiora residents are questioning whether these basins are big enough, given that there are a lot more houses to go into the subdivision, known to its developers as Oxford Park. 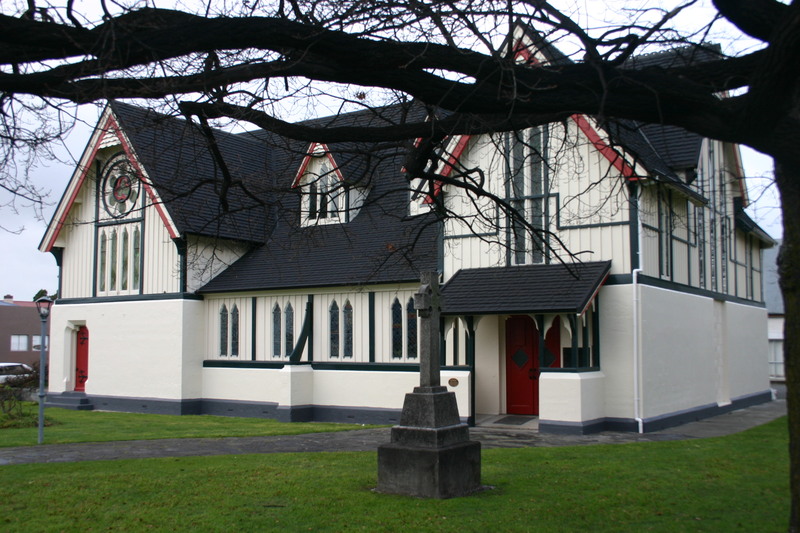 The photo was taken by Rangiora Ward Advisory Board Chair, Murray Clarke. The New North Canterbury Radio Station Needs A Name! The newly-announced North Canterbury radio station needs a name. If you have any ideas, click on “Comments” below. The station will be full-power stereo FM and it is hoped to have it on air in the first part of next year. It aims to have coverage over the whole of the Waimakariri and Hurunui Districts. It will be a community station, i.e. non-commercial. Preliminary assessment suggests that the worst six hours of the storm was about the level of one in 125 years’ frequency. In preparing for this kind of eventality, we have to ask ourselves: what do we want to pay for and what level of risk are we prepared to stand? We can protect ourselves with stop-banks, building requirements, etc from various levels of flooding, but how far do we want to go? The more we protect ourselves, the more it can cost. On the other hand, if experience tells us that problems are occurring frequently, something obviously needs to be done.